Using the strikethrough effect in documents is helpful for letting a reader know that the text has been removed, while still leaving it there as a reference in case it is needed later. 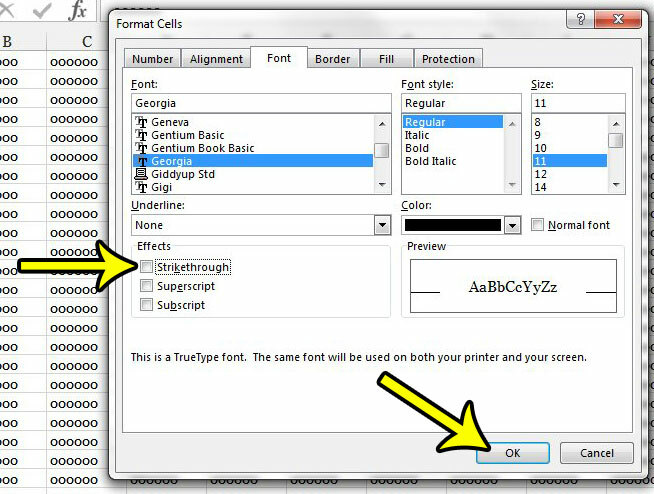 This formatting option is available in Microsoft Excel, and is used occasionally for a number of reasons. 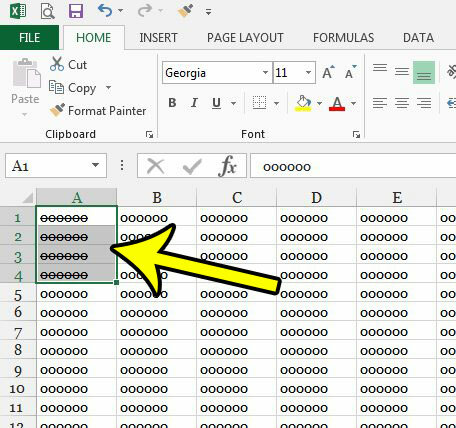 If you are editing a document in Excel 2013 and encounter cells that contain text with the strikethrough effect, then you might be trying to figure out how to get rid of it. Our guide below will show you where to find the strikethrough setting in Excel 2013 so that you can remove that formatting. The steps in this article were performed in Microsoft Excel 2013. 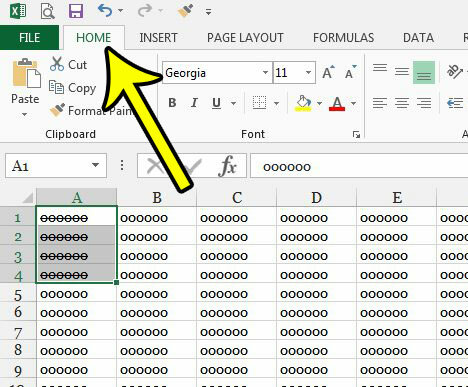 This guide assumes that you currently have text in your spreadsheet that has a line going through it. Our steps below are going to show you how to select the cells containing the strikethrough effect, then remove that effect. Step 2: Select the cells containing the strikethrough text that you wish to remove. If you would like to remove all of the strikethrough from your spreadsheet, click the cell above the row 1 heading and to the left of the column A heading. Step 4: Click the Font Settings button at the bottom-right corner of the Font section of the ribbon. Step 4: Click the box to the left of Strikethrough to remove the check. I have removed strikethrough from my selected text in the image below. Click the OK button at the bottom of the window to apply the change. Are there other types of formatting applied to your cells that you would like to remove? 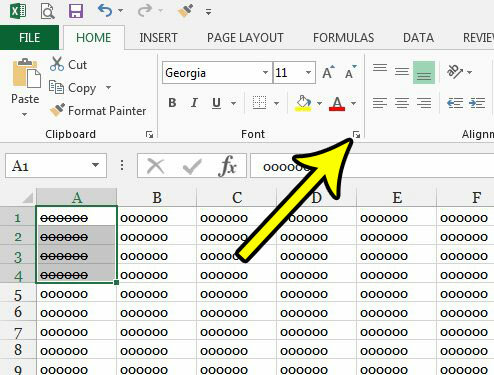 Learn about a quick way to clear formatting in Excel 2013 so that you don’t need to go through and manually adjust every type of formatting that has been applied.